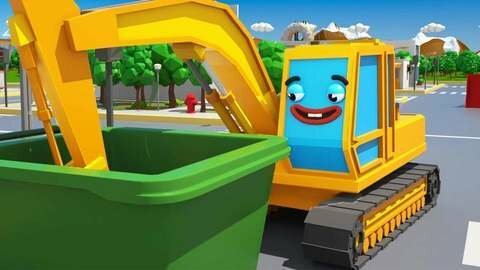 Watch this new online 3D car cartoon for kids to know more what has happened to the yellow excavator. After Yellow Excavator lost it's scoop because of a red crawler, the latter tried to right the wrong. It called an ambulance to help his friend attach the scoop back. Watch new episodes of non-stop car cartoons for kids on SeeZisKids!